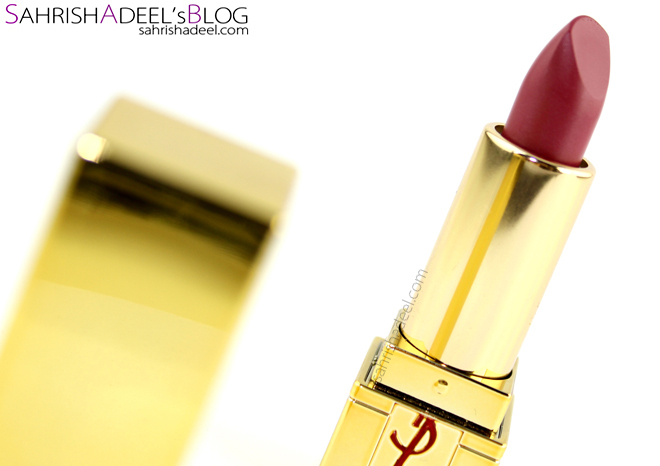 YSL Rouge Pur Couture Lipstick - Review & Swatch | Sahrish Adeel - Malaysia based Pakistani Beauty & Lifestyle Blogger! Sometime back on my trip to Pakistan I made a purchase at YSL's outlet at KLIA, Malaysia and I got some gifts with my purchase. 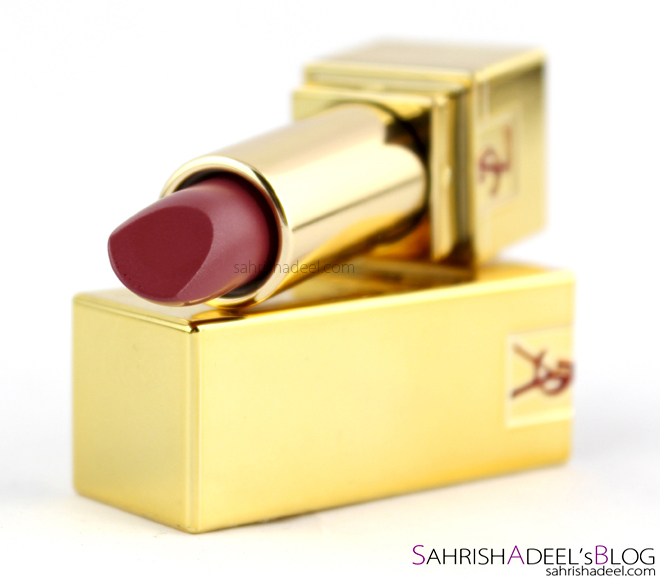 YSL's Rouge Pur Couture was one of the gifts and let's see how I found the formula. A new-generation lipstick inspired by Monsieur Saint Laurent’s iconic color palette—red, fuchsia and orange—in a collection of captivating couture shades that offer each complexion a customized look. Enveloped in a luxurious gold case designed by Creative Director Stefano Pilati, Rouge Pur Couture speaks elegance. Lips are saturated with intense, stay-true color, thanks to the Coloreveal Technology while natural extracts provide comforting moisture that lasts all day. Provides medium to full coverage with a radiant, satin finish. This lipstick comes in a gorgeous golden packaging made up of plastic. I have this lipstick in mini size and is shade 09 Rose Stiletto which is a gorgeous rosy pink shade. First of all, if you know me, you would know that I do not go for high end cosmetics unless I am unable to find something really good but still I wanted to give YSL's highly raved lipstick a try. In this review, you will get to know my experience with this product as well as some alternates from our beloved drugstore / local brands' lipsticks. 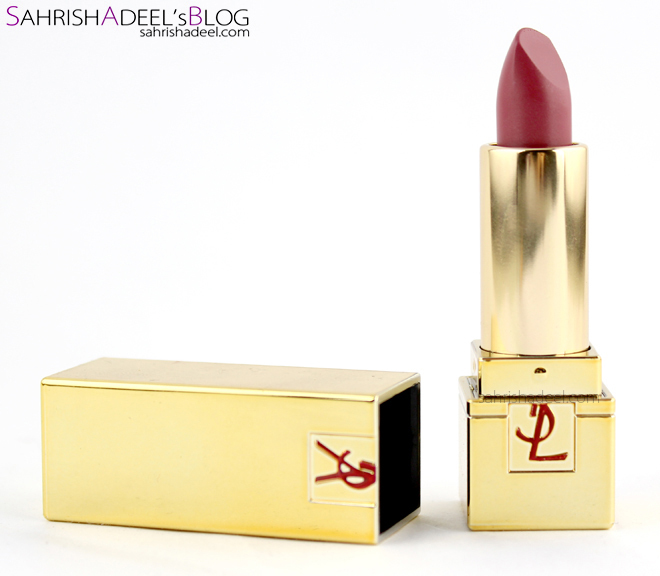 YSL's Rouge Pur Couture lipstick stunned me on first application. The application is smooth, formula is moisturizing, it stays until I eat something and I would say an approximate wearing time of 4-5 hours, it does not feather out and it does not leave that ugly residue at the sides of the lips. This lipsticks has a rosy shade and it also has a mild rosy scent which I really enjoy every time I wear this lipstick. The finish is semi matte and it does not dry out and enhance lines on the lips. Not to forget, it has a gorgeous and luxury looking packaging too. Since this is a high end brand, it might not be very suitable when it comes to stay in a budget. But if you are lipstick lover who is going to finish the tube before it expires, you deserve to treat yourself with one of these beauties. Overall, I am super in love with this lipsticks and I am glad I own this this gorgeousness. 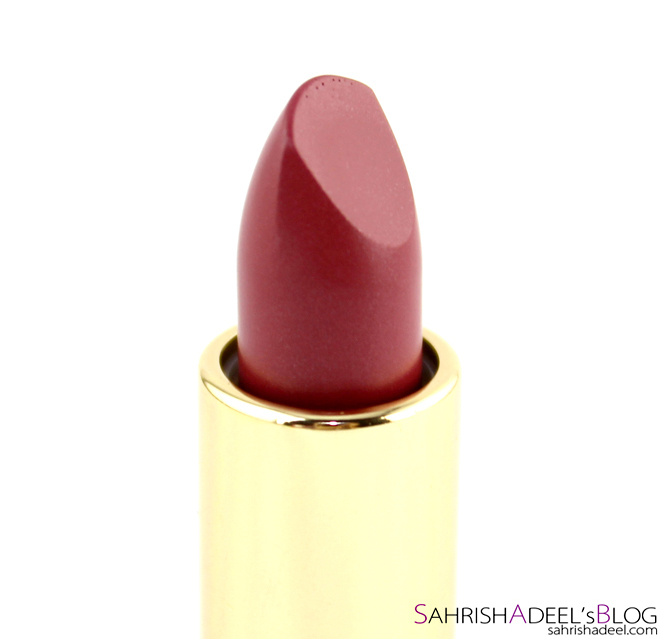 Alternates: If you are living in Pakistan, you can get Signature Lipsticks by Luscious Cosmetics or you can give CSP's Pure Matt Lipsticks a try. Both of them are budget friendly and are in my good books. Since these brands are not available outside Pakistan, Sleek Makeup & Wet n Wild can work almost the same too. Makeup look where I used this lipstick: Click me to open the full face makeup look! 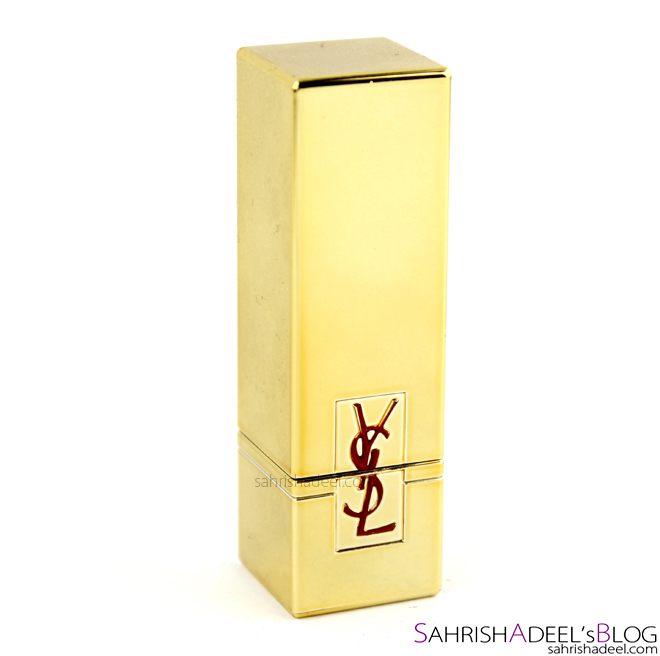 YSL's Rouge Pur Couture Lipstick costs £25 or $34. You can find this brand on all airports ( which is always a good place to buy authentic makeup and they always have some nice promotions going on ), Boots, Sephora, YSL's Website and many other websites. You can also find their outlets in major shopping malls in most of the countries. Have you tried this lipstick? What is your favorite brand for lipsticks?